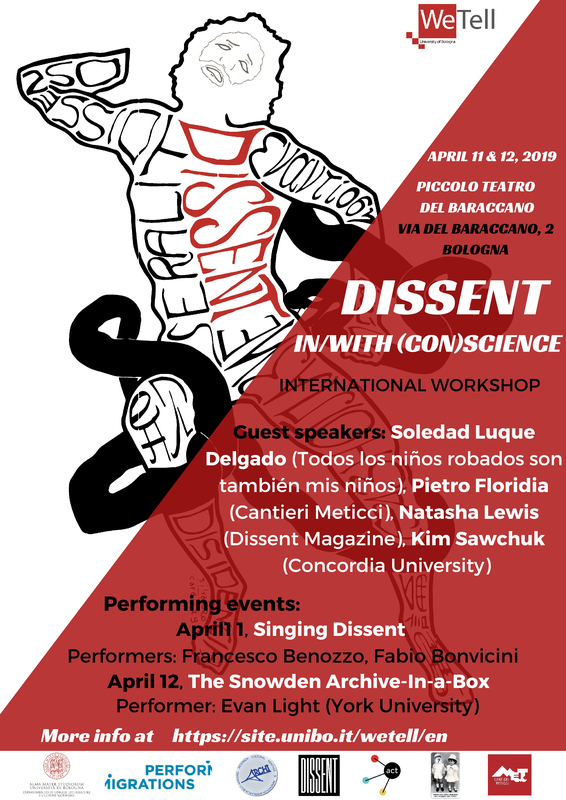 This international workshop event aims to investigate the variety of forms and ways in which the industry of culture (in all its expressions) affects the development of all mechanisms of construction and deconstruction of individual and collective civic awareness. The ultimate purpose is to reflect on those mechanisms that make institutions, ruling bodies, governments, as well as corporations, associations and local communities seduce the public opinion to acquire implicit, large-scale consent (which Noam Chomsky defined ‘consent without consent’) by frequently turning citizens into audiences or, following Lilie Chouliaraki’s definition, ‘ironic spectators’. In this context, literary and cultural studies are examined as a functional place – today as in the past – to foster awareness and build informed dissent, neither aprioristic nor populist. Dissent is, therefore, conceived as a practice of freedom within active, responsible citizenship, a real social device that is grounded on renewed argumentation capabilities, which consist in building narrations of/in contemporaneity in order to understand differences as well as complex cultural phenomena.